PROagro began as a dream. A young girl’s fascination on how a simple Olive tree could produce a product – oil – with such a deep history that goes back centuries, and that people to this day use for so many wonderful purposes. The magic of the oil was in part due to the way it was made by hand. Since the production process was so complex, olive oil was very much seen as a luxury item, afforded only by the higher echelons of society for personal consumption as well as a special gift. For 5,000 years, Kings, Queens and the aristocracy would exchange olive oil as a diplomatic gesture of goodwill - a prized gift that could strengthen the most strained relations. How could something so simple and basic have such a fascinating, rich and deep history? It was enough to capture the active imagination of any young spirit. In time that young girl grew and PROagro was born. As this is our very first post in our new blog we thought the story of the origins of the company would be a great place to start. Having grown up around the farming community, it was no surprise that our founder would dedicate her professional life to the field of agriculture. 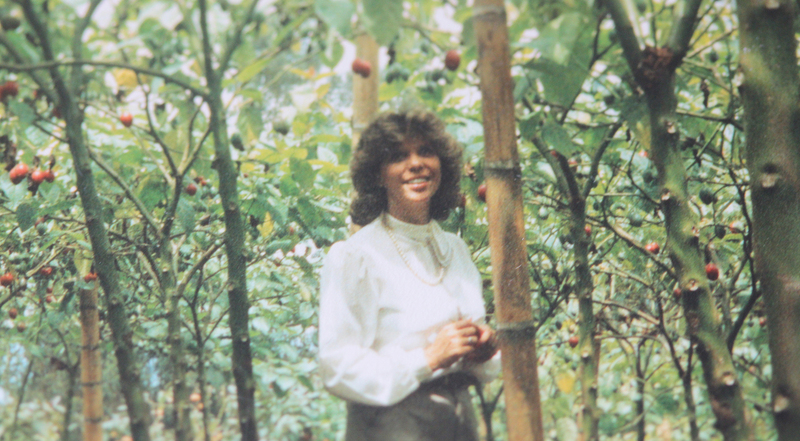 Wherever she travelled (and she travelled far and wide) she would visit plantations, with the determination to seek out the best and most pure form of olive oil. In Greek mythology the olive tree is regarded as legendary. It gives itself in the production of oil for food, but also wood for fuel and also simply shade from the sun. Today, we celebrate it too by providing PROagro Extra Virgin Olive Oil, for people who desire the best and corporations who take pride in the gifts they share. They say the gift of giving makes a person happy. We like to think we help in our own way. To create the perfect product, our founder sought out the best producers of glassware in Italy and modelled a custom bottle based on those gifts of old, with their square shape and rounded corners similar to perfumes and oils. While finding the right packaging is important, the focus has always centred on the oil itself. PROagro Extra Virgin Olive Oil comes from select olive groves in Laconia, Sparta in Greece. Their small fruit gives a beautiful yield that is pure and full of nutrition. There are three seasons to harvest the oil in Laconia, but the most important is the first as that is where you are certain to find the fruits with the most nutrients. Because of this, at PROagro we limit the season from January to July and no more. To make the perfect oil we pay close attention to crop timing and only harvest olives during the middle of the season. 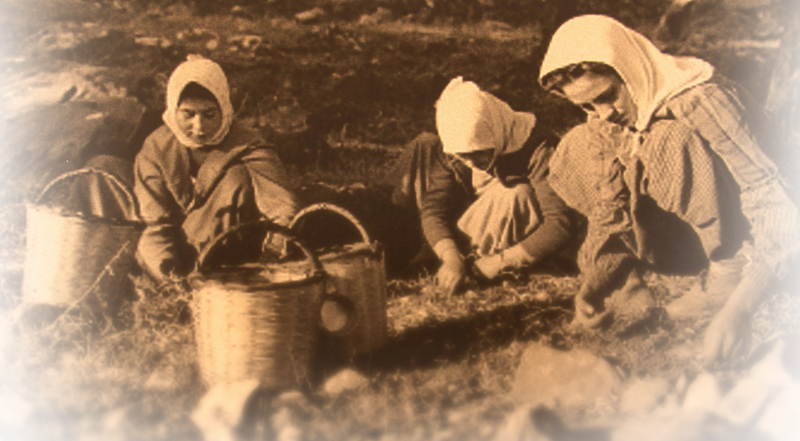 As a finishing touch, the founder chose a name that best represented her quest of finding the purest form of olive oil. Out of the word PROagro, you have PRO, which stands for in favour of, and agro, which is short for agriculture. Even the logo, with its light energy and coupling hands were created to best show her vision. We hope this first blog post has explained a little about how and why PROagro was created. To be first to know about our latest developments, follow us on Twitter or Facebook. 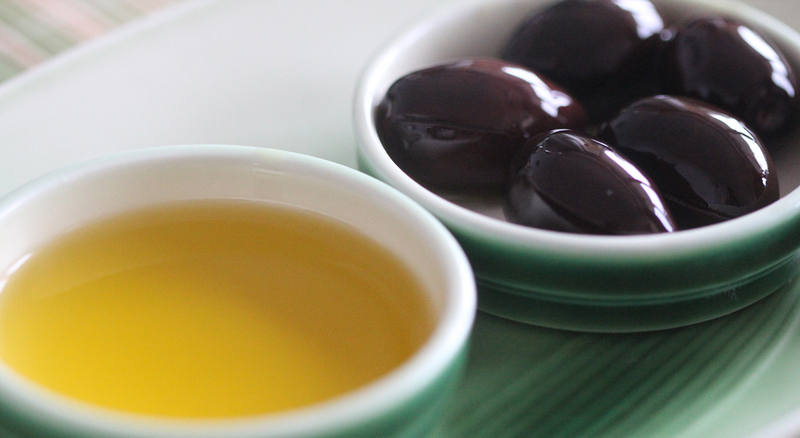 An understanding of the healthy aspects of olive oil dates back to ancient times. Hippocrates, Galen and Diocles all recognised that olive oil - particularly extra virgin olive oil (EVOO) - makes a significant contribution to people's health. It is no coincidence that those who live around the Mediterranean, where olive oil is a staple ingredient, enjoy great health benefits. As this is the first posting on our new monthly blog, we thought it would be a good idea to examine these health benefits once again. Cholesterol is a waxy substance that floats around in our bodies and attaches itself to proteins, turning them into lipoproteins. The two most important types of lipoproteins are High Density Lipoproteins (HDL) and Low Density Lipoproteins (LDL) and as we know, HDL are considered good because they help prevent clogged arteries, LDL are considered bad because they could result in arteriosclerosis. University studies carried out in Spain, the USA and Holland have all identified clear benefits of olive oil consumption, whether that is lower rates of heart disease, increased levels of good cholesterol (HDL) or a total reduction in both harmful (LDL) cholesterol and HDL together. Antioxidant substances are capable of removing potentially damaging oxidising agents in living organisms and can play a role in developing chronic diseases such as cancer, heart disease and Alzheimer’s. It is important to note that many components found in EVOO are antioxidants. Olive oil provides beta carotene (pro-vitamin A) and tocopherol (vitamin E), which help the gastrointestinal tract. One of the main components of the vitamin E in EVOO is in the form of alpha-tocopherol and so easily synthesised by the body. These help prevent the oxidisation of LDL which could lead to arteriosclerosis, heart disease and in some cases, cancer. According to a study by the Arthritis Foundation in Greece, people who consume more olive oil had over 2.5 times less chance of developing rheumatoid arthritis than people who consumed a lower amount. Simply adding olive oil to your diet was said to be enough to start protecting yourself. We know from studies that diets deficient in Vitamin E lead to premature ageing because of their acceleration in fatty acid breakdown. The high content of Vitamin E in Olive Oil helps in a number of ways, including maintaining mental function, muscle control, skin wrinkles (thanks to the Vitamin A), digestion and reducing bone calcification due to the amount of essential fatty acids preventing calcium loss. Olive oil has been shown to have beneficial effects on virtually every aspect of the body, including brain development, bone structure, digestion, ageing process, the condition of skin and hair, metabolism, and on plaque formation in the blood vessels. Cycloartenol lowers the amount of cholesterol in free circulation and increases excretion of bile to mop up excess acidity and increase alkalinity of the food coming out of the stomach. Caffeic and gallic nutrients stimulate the flow of bile which helps alkalise food coming out of the stomach, reducing stress on the pancreas. Magnesium-rich chlorophyll encourages the formation of healthy red blood cells. Phytoesterols (in the form of beta-sitosterol) assists in preventing cholesterol absorption. Phenolic compounds protect against the fermentation of fats and cholesterol, and promote higher production of fat-digesting enzymes in the pancreas. Squalene, a precursor to phytoesterols, helps reduce acidity. To get the most health benefits from olive oil, you should have it in its purest form, Extra Virgin, like the kind we produce at PROagro avoid any oil that has been heated during processing as it can damage or even destroy its mineral properties. In fact, here at PROagro, we wanted to ensure we retain as many of the healthy aspects of our EVOO as possible - so we developed our own cold-pressed processing plant. If you would like more details on our Extra Virgin Olive Oil or even like to buy a bottle or two, please visit our website. You can also find us on Facebook and Twitter. Creating the very best extra virgin olive oil requires the not only the best olives but also the best cultivation and here at PROagro we think about harvest time a lot. One of the reasons is because we actually have three harvest seasons per year instead of one, the first in November, the next in December and then March. PROagro olive oil production techniques bring together the wisdom of the past, the best of modern technology, and the benefits of the hard work and determination of the people who produce it. Excellent oil from excellent berries. Olives are alive and so their natural speed of growth varies and to complicate matters further, it is really the core of the first season that yields the most fruit with the best flavour. Our olives cannot be too young or too mature if they are going to pass our selection process. As the locals in Laconia say, you can extract average oil from excellent berries but it is impossible to extract excellent olive oil from an average berry. A season such as this bears great olive oil, but in much lower quantity. And because we are dealing with a natural product conditions change every year depending on which yield will have the very best taste and quality. After harvest it is time to prepare the trees for their winter sleep and start processing within 24 hours. To ensure the best quality and freshness we have our own mills on site and limit our production to July before preparing our bottles ready for sale. This year, we have increased the number of ways you can purchase PROagro Extra Virgin Olive Oil. In addition to calling the office and placing your order, members of Facebook can now buy when online in our brand new store. If you have not yet tried PROagro and would like to do so, we are now stocked in Jak’s Kings Road with more outlets to follow. If you think we should be stocked in your local artisan delicatessen too, please let us know and we will be happy to oblige. Following last years success, once again we will be exhibiting once more at the Ideal Home Show at Christmas in Earls Court London, between the 19th and 23rd of November. Our team had a fantastic time meeting old customers and making new ones and if you are planning to attend the show, please make sure you visit our Stand 2E91 as we will be very happy to meet you. Until then, to ensure you are the first to know about what is happening at PROagro please continue to visit this website or check in on Twitter or Facebook. Copyright © 2013 PROagro Ltd. All rights reserved.